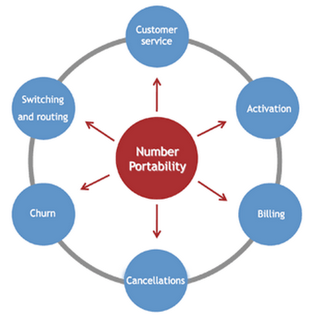 Mobile Number Portability (MNP) allows the mobile phone users to select any network without changing their numbers. Indian mobile service providers will implement this facility from December31, 2009 in metro cities and by March 2010 onwards, in other parts of the country. MNP is firstly available in Delhi, Kolkata, Mumbai, Chennai, and ‘Circle A ‘service areas at first and rest of the country by March. Department of Telecom (DOT) earlier selected two companies Telcordia Technologies and Syniverse Technologies to aid them in rolling out MNP services. 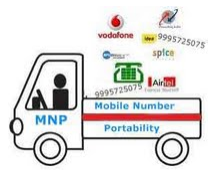 Mobile Number Portability (MNP) implementation. Mobile customers who are likely to change their service provider should get permission from the existing carrier. The customers must give a consent in written to the existing service provider to change from the current network to another. It will take 5 or 6 days to complete this process. After the completion of this process, they will give to the technology provider for further process of MNP application. Telecom Regulatory Authority of India (TRAI) fixed the maximum rate of mobile number portability fee at Rs.19. “The per port transaction charge will be Rs.19 and the subscriber will not be charged more than that” TRAI said in a statement. Mobile Number Portability (MNP) would make severe competition among mobile service providers in India. They will be compelled to lower the call and SMS rates. Coverage, call quality, customer service and all other areas will see improvements as this the only way to retain customers. The postpaid customers get more advantage from the MNP. They have lesser tendency than the prepaid users to change their numbers, and therefore they will move to a better service provider if required. We expect Mobile Number Portability to change the face of Indian Telecom sector. Send me procedure of MNP. How i change my operator LOOP to AIRTEL. Still my postpaid service continue. I am customer of Tata Indicom Prepaid my Mobile No. is 9271906066 So I want to change my mobile operator to IDea GSM. Tell me procedure of change mobile operator only . same number.I residence in JALGAON of MAHARASHTRA state. Send me procedure of MNP. How i change my operator LOOP to IDEA. Still my prepaid service continue. I am a customer of Reliance mobile Prepaid. My Mobile No. is 9388595589. I want to change my mobile operator to Vodafone. Tell me procedure of change mobile operator without changing the number.I residing at Shornur in Kerala state. I am a customer of Reliance mobile Prepaid. My Mobile No. is 9388595589. I want to change my mobile operator to Vodafone. Tell me procedure of change mobile operator without changing the number.I residing at Shornur in Kerala state. . . Send me procedure of MNP. How i change my operator RELIANCE to IDEA. Still my prepaid service continue. I am TATA DOCOMO(Prepaid) customer and i want to change my operator from DOCOMO to AIRTEL. So, tell me the procedure. I am residing at Surat. Sir! I want to change or port my connection (MTS) to new service provider (Vodafone). Kindly send me the full procedure with full requirements on my E-Mail address as asked. i am customer of bsnl in chhattisgharh. can i change my operetor to uttar pradesh without changing my number. I am working in a proprietorship company at Howrah, Kolkata. We have 10 CDMA connections , Postpaid. Of them 2 No.s are missing. We have FIR copy of the missing no.s. We want to switch to Vodafone or AIRTEL, GSM in Prepaid mode. Is it possible? If yes what are the procedures.